Did you feel any difficulty to include vegetables in your kid’s menu. For me, it is really difficult. If it is a leafy vegetable, oh no she will never even look into this. So I searched for some recipes which hides the vegetables and provide all the nutrients. Here, we will start a new section of our blog, easy lunch box recipes for kids, focusing mainly on non-spicy or mildly spicy, kids-friendly vegetarian dishes. It ensures nutrients for kids which they normally hesitate to eat. Hope, everyone will support me with your suggestions and valuable shares. Spinach phulka is a very common dish in north India but for malayalees, this might be a new dish. Anyway, We can make so many variations using other vegetables also. Today I am posting another similar recipe, the beetroot phulka. Phulka is the partially cooked chapathi on tawa first then put on flame directly to rise or puff. This is not a difficult process, with experience you will become an expert within no time. 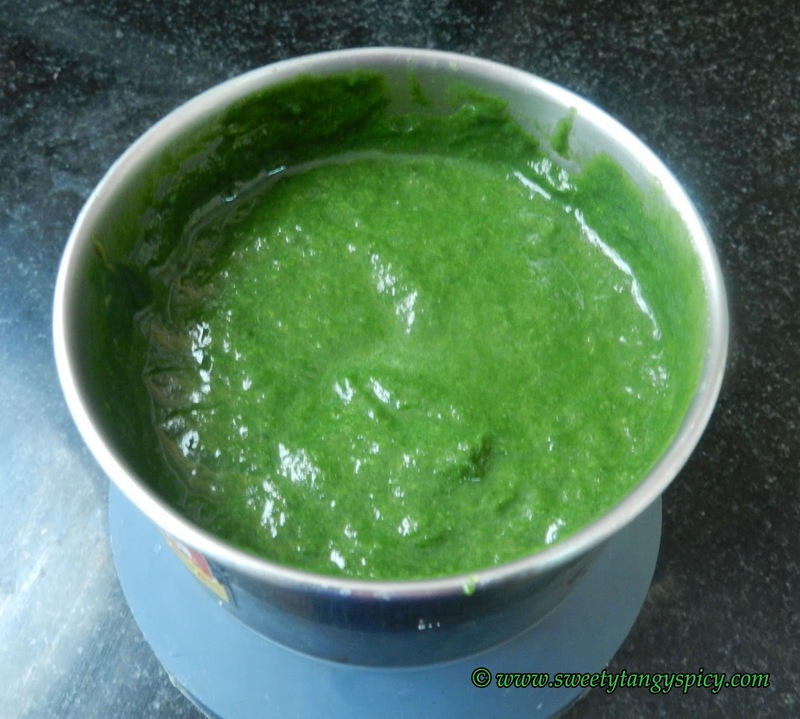 Today, we will see how to make spinach phulka. 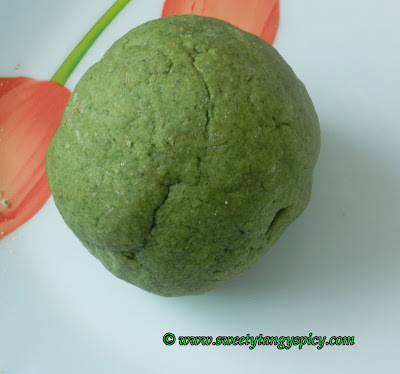 Instead of water, we are using vegetable puree to make the dough. This makes it nutritious and attractive. Also, it is very easy to make compared to other stuffed parathas. Usually, these phulkas are done with palak, but I did with normal green spinach or cheera which is commonly available in Kerala. If palak is available, use that. 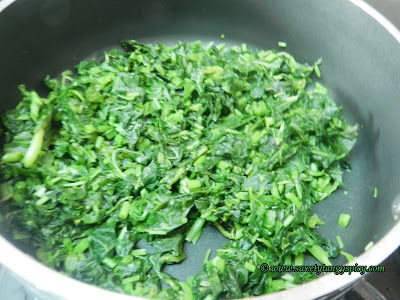 First of all we will make a spinach puree or spinach juice, take 150 grams of spinach in a pan, add 1/4 cup of water. 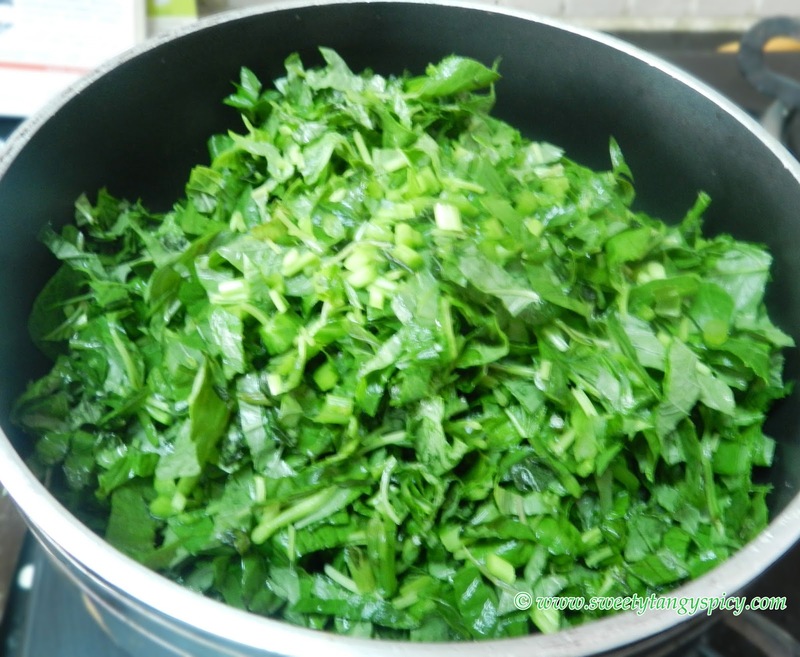 Once the water starts to boil, reduce the flame to low or medium and cook till the spinach became soft and water reduced. 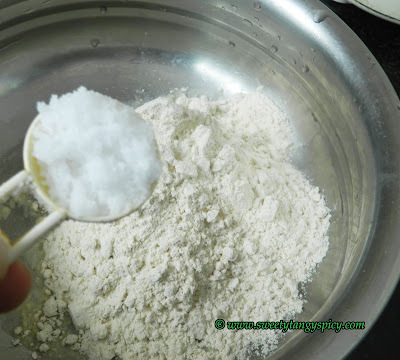 Grind in a mixer grinder and make a smooth paste with 1/4 cup of water. Sieve it and keep aside. Take one cup of wheat flour in a bowl, add salt and mix well. Apply some oil or cover with a wet cloth and keep aside for 10 to 15 minutes. Knead again and make small lemon sized balls out of it. 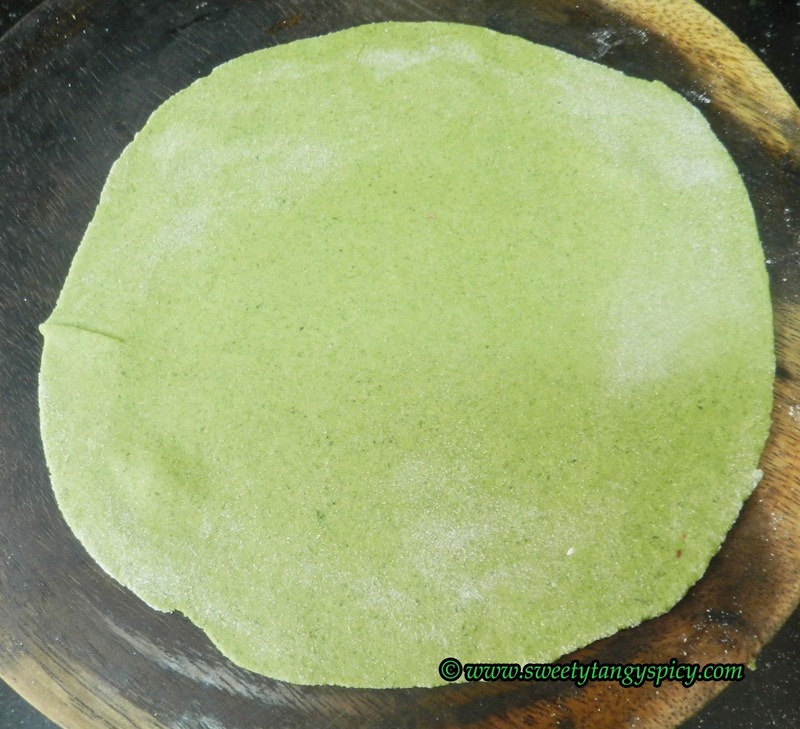 Roll into thin circles on dusted chapati maker. 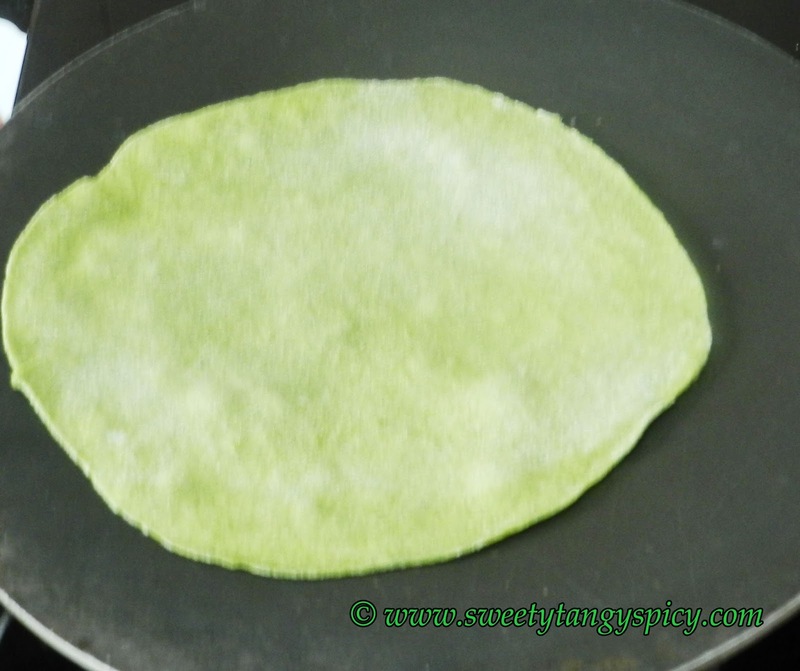 Heat a pan, once hot, place the chapati. once start to bubble, flip and cook the other side also. 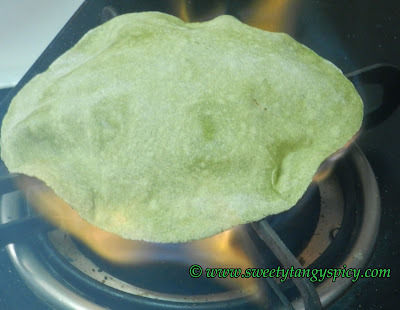 Place this roti directly on the flame to puff up, flip again and cook for one or two seconds and immediately remove from heat. 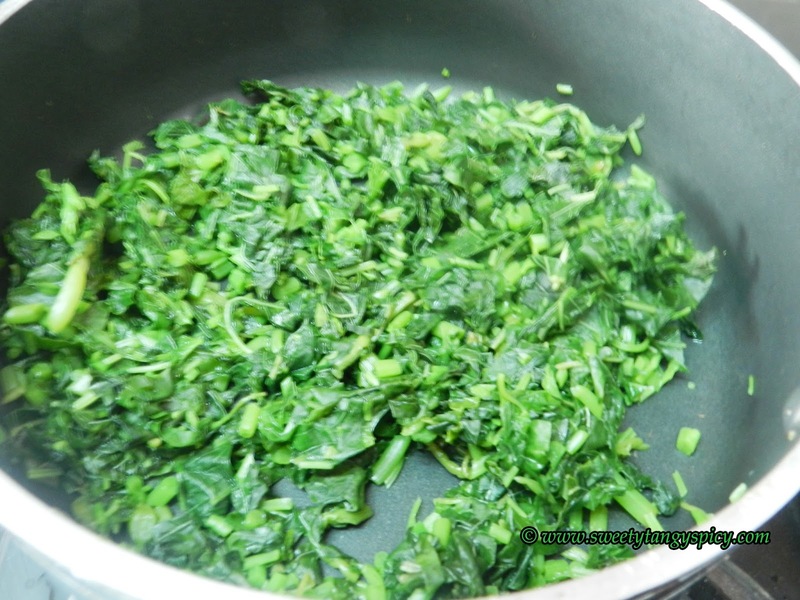 Wash spinach thoroughly with water and chop into small pieces. Cook covered on medium flame with 1/2 cup of water till turns soft. 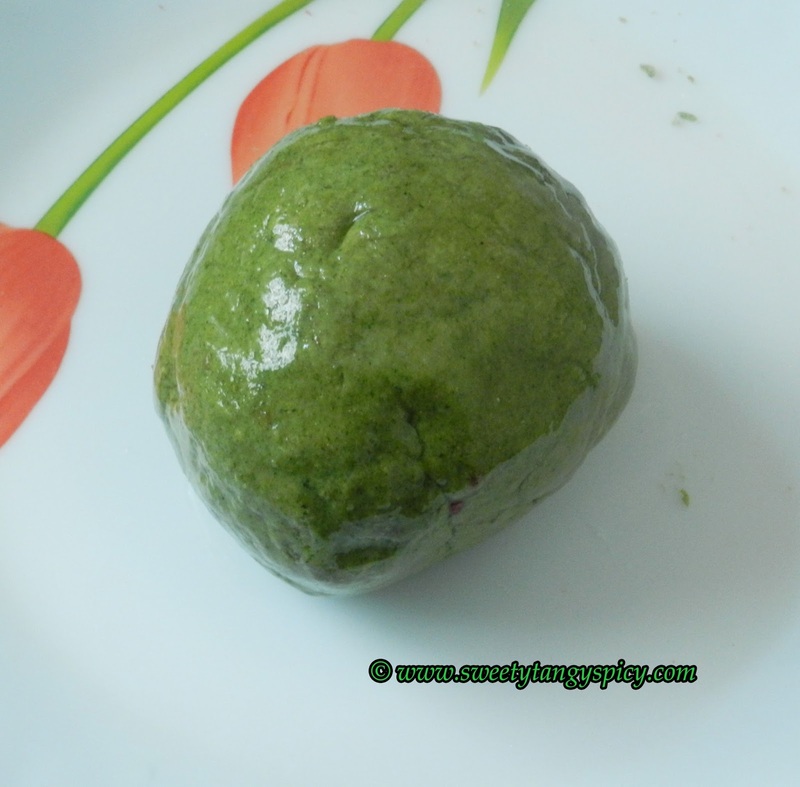 Make fine paste in a mixer grinder and keep aside. Take 1 cup of wheat flour in a pan. 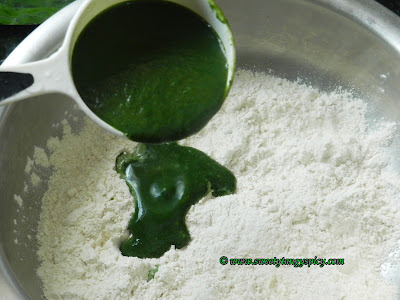 Make a soft dough by mixing the spinach puree little by little. 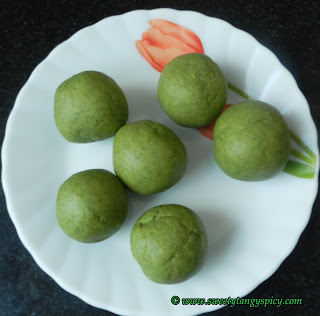 Make small disc out of the balls on a dusted chapati maker. 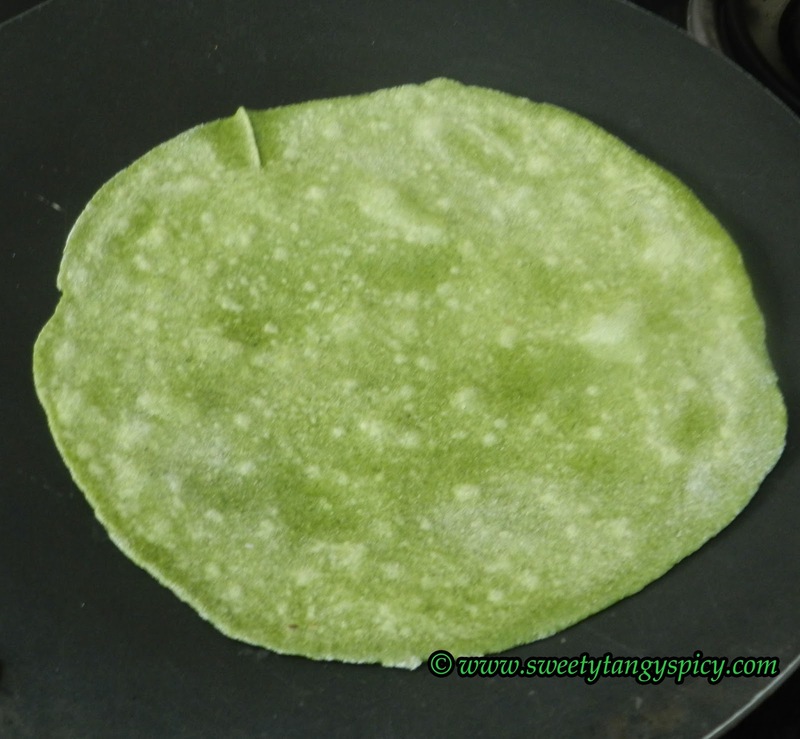 Heat a flat pan, and place this chapatis over it. Flip it when bubbles appears on the top and cook the other side also. 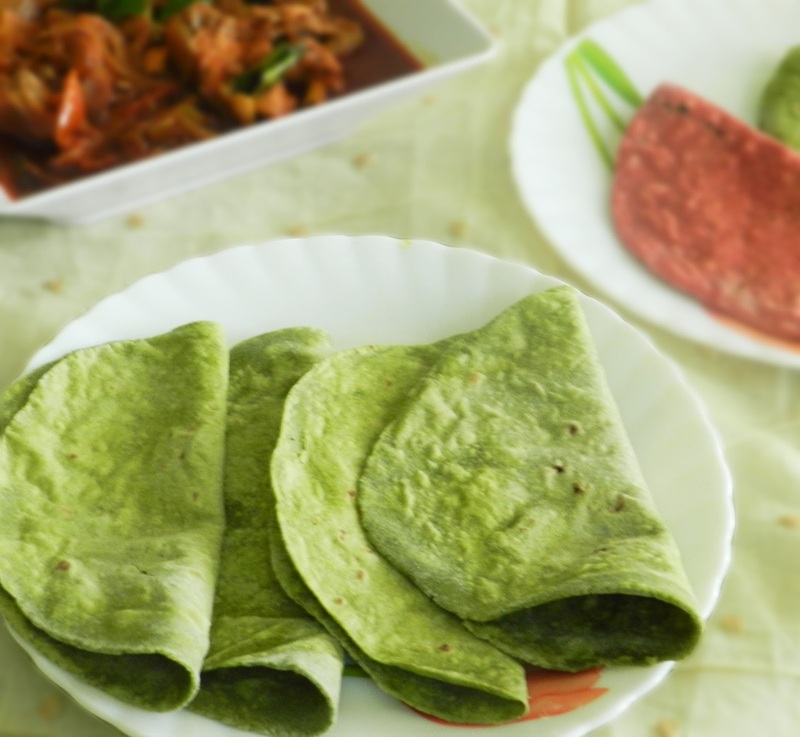 Place this partially cooked chapatis directly on the flame (high flame), remove from heat once it rise or puffed up. 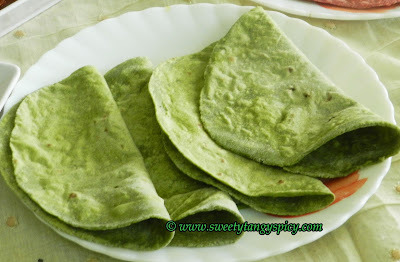 Palak phulka can also made by mixing chopped spinach directly in wheat flour.